The feedback from that Texas trip was overwhelmingly positive, Davis said, but there was one message that routinely popped up on their Twitter timelines. Flint’s water crisis began in 2014, but five years later, Michigan officials still can’t pinpoint the location of all the lead pipes throughout the city that need to be replaced with safer copper pipes. Compounding matters is the financial burden placed upon already-impoverished inhabitants. 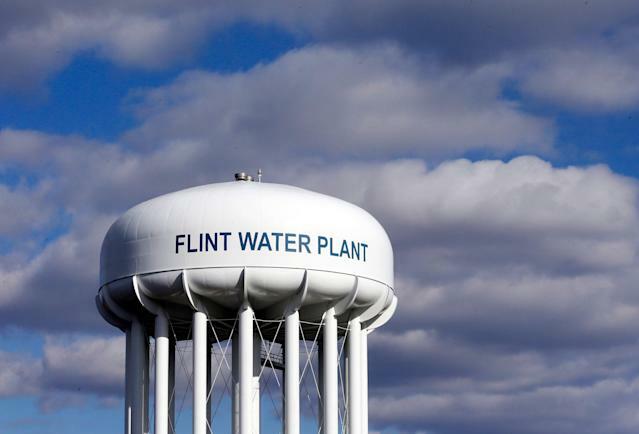 Residents pay some of the highest water rates in the country, yet the median household income in Flint was $26,330 between 2013-17, while an estimated 41.2 percent of residents live in poverty, according to U.S. Census data. Their collective goals beyond the gridiron are clear. To listen. To serve. To effect change. 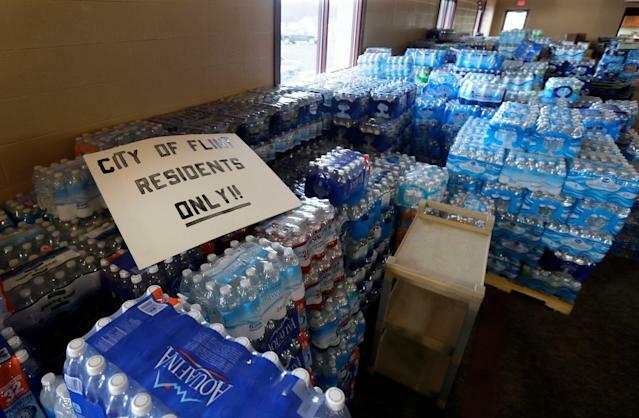 But Davis’ objective for Flint is more precise. 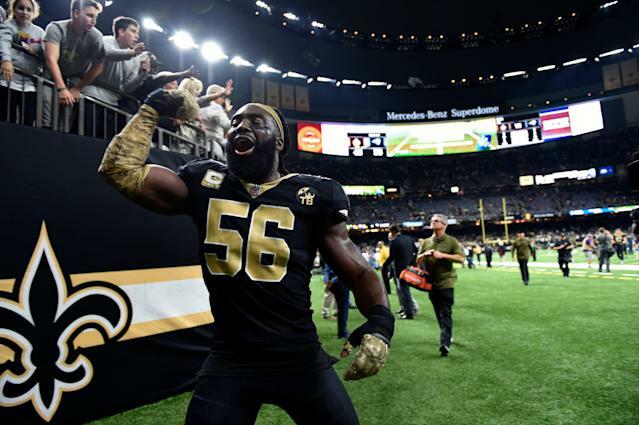 “If a million people gave $10, that’s $10 million that’s going to go directly to people who are in need of bottles of water, filtration systems put in their houses — one of those is $3,000 — that can purify the water as a temporary solution,” said the Saints linebacker. With the community relying on the charitable efforts of nonprofits, both players are hoping their voices will help keep focus on Flint. Unlike his Players Coalition partner, Norman said he doesn’t have a target in mind for monetary donations. Instead, he’s just anxious to see their efforts result in visible changes in the area. By 2:30 p.m. Tuesday, there was a line of cars stretching down the street from where Davis and Norman’s U-Haul was parked. Norman estimated there were at least 150 cars waiting. “That’s how bad they don’t trust the water,” said the cornerback, who was at a loss for words when a man made two separate trips to collect 12 total cases of water from their truck. “Because they trusted it before and then they found out it was bad.